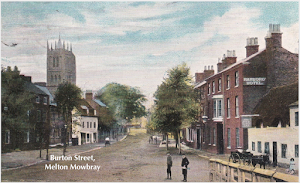 YESTERDAY IN MELTON MOWBRAY: "... A SOFT PEDUNCULATED GROWTH"
Memories of Days Long Gone. "... A SOFT PEDUNCULATED GROWTH"
DEFINITELY NOT FOR THE SQUEAMISH! 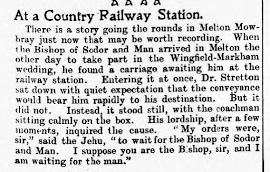 I have recently discovered an article which was published in 'The British Medical Journal' of 1892 which I feel should be placed alongside my personal account of 21st Century surgery (see, 'The Tale of a Tumour'). I am cognisant of the fact that the current procedure for bladder cancer has not advanced significantly over at least three decades and 21st century surgeons on both sides of the Atlantic will readily confess to the fact that progress has been slow. (Though as time goes by I might yet be required to remove these words - I hope so!) At the last count, it is still required in the majority of cases that a sharp knife be taken to open up the torso in order to detach the little devils, often casting out important and precious anatomical organs - which we always wanted to retain! - in the process. The reports which I have reproduced from the journal are a spine-tingling example of such procedures which were practised in Victorian times. They describe the apparently successful removal of bladder tumours (not necessarily cancerous) from both a male and female patient at Manchester Royal Infirmary. I was considering abbreviating the document but I decided that it should perhaps be read as a whole, not just to make you squirm that little while longer, but to perhaps lay the lie to the fact that no progress has been made and this should perhaps keep your surgeon in some sort of good humour when your turn comes! For those of a nervous disposition, or if you are personally pending such a visit to your particular local hospital, I can assure you from personal experience that at least the medical instruments then utilised in the operations are rarely now used and I do believe that much of it would probably be illegal! I will leave you to look up the unfamiliar, and often archaic, medical terminology used by these often pompous people and as they say in these enlightened days, "Enjoy". MEDICAL AND SURGICAL PRACTICE IN THE HOSPITALS AND ASYLUMS OF GREAT BRITAIN, IRELAND AND THE COLONIES. TWO CASES OF TUMOUR OF THE BLADDER. CASE 1: Papilloma in a male: Suprapubic Custotomy: Removal: Recovery. - W.S., aged 56, was admitted on February 29th, 1892 with the following history: About 12 months previously he first noticed the presence of blood in his urine, and since that date ha had suffered from frequent attacks of profuse haematuria, accompanied by any pain or difficulty in micturition. In the intervals between the attacks, which usually lasted for several days, the urine always became quite clear. Micturition had latterly become somewhat more frequent than usual, otherwise he was quite free from any evidences of irritation of the bladder, his only symptom being a painless haematuria. On admission he was somewhat anaemic, but in other respects in fair health. The urine, specific gravity 1022, was alkaline and of a brick-red colour, containing in addition to blood, a small quantity of pus. A few days after admission he was examined under chloroform. Nothing could be felt on rectal examination or on sounding the bladder, but, on washing out the latter with Bigelow’s evacuator, a number of soft particles came away, some of which were twice the size of a pea, and to the naked eye easily recognisable as portions of a villous tumour. Microscopical examination showed them to be of the nature of papillomata. The presence of a growth being verified, it was resolved to remove it by suprapubic cystotomy, but as a preliminary measure, in order to correct the alkaline condition of the urine, salol was given internally (10 grains 3 times a day) and the bladder was washed out daily with boric lotion. The result of this treatment, combined with rest in bed, was that on the tenth day the urine had become acid, and the amount of blood had greatly diminished. March 21st. Suprapubic cystotomy was performed in the usual way,and, on exploring the interior of the bladder with the finger, a soft, pedunculated growth, the size of a pigeon’s egg, was felt springing from the left side of the trigone. This was removed through the suprapubic opening by scraping through its point of attachment with the finger nail and a Volkmann’s spoon. The bladder was then washed out with hot boric lotion until the bleeding, which was very slight, had quite ceased, and a tube was left in the suprapubic wound. As regards the after-course of the case, all went on very satisfactorily, the temperature never rising above 99.8f The bladder was washed out daily with boric lotion, and the tube was removed on the third day. For the first few days the urine contained a little blood, but at the end of a week, it was quite clear, and afterwards remained so. After the 21st day all the urine was passed by the urethra. The patient left the hospital by the end of the fifth week, the suprapubic wound being quite closed. He came afterwards on several occasions as an out-patient, and, when last seen in August, his general health was much improved, and there has been no recurrence of the haemorrhage since the operation. CASE II: Multiple Papillomata in a female: Dilatation of Eurethra: Removal: Recovery. - M.M. Aged 51 years, was admitted on January 4th, 1892, with a history of haematuria of two years duration. Until about six months previously the bleeding had recurred at irregular intervals, the urine between the attacks being quite clear, and micturition being unattended by pain and not increased in frequency. Latterly the bleeding had become more continuous and more profuse, blood being almost always present in the urine; she had also begun to suffer from constant acute pain in the region of the bladder, over which she had lost control, the urine continually dribbling away. On admission the patient was very anaemic and in extremely feeble condition. The urine contained a large quantity of blood and pus, and was ammoniacal, with a very offensive odour. To correct this condition the same treatment was adopted as in the preceding case. January 11th. 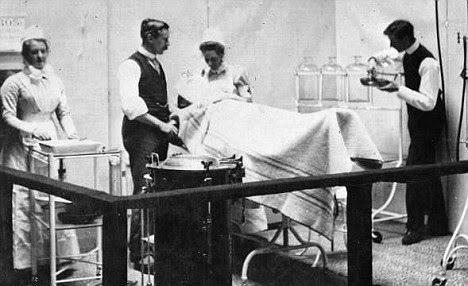 The urine having become much sweeter and almost free from blood, the urethra was rapidly dilated under chloroform until it would allow of the introduction of the finger into the bladder. On exploring its interior the base was found studded over with numerous sessile growths, the largest being about the size of a walnut, of such soft consistence that they were readily removed, as in the last case, with the finger and a Volkmann’s spoon. The haemorrhage, which was somewhat free, was arrested by washing out the bladder with hot boric lotion. Microscopical examination of the growths showed them to be papillomata. Recovery took place without a single unfavourable sympton. On the sixth day the patient was sitting up in the ward, the urine, though still alkaline, being free from blood. At the end of three weeks she was sent to the convalescent home, being able to hold her water, which had become faintly acid, for two hours at a time. September. She enjoys excellent health, and has regained complete control over the bladder. There has been no return to the bleeding since the operation, and she is quite free from any bladder symptoms. It isn't like this now, honest to goodness! Well done if you got this far! I was born at Leicester in the East Midlands of England in 1940 of an Irish father and an English mother. The majority of my working life was as a police officer in which role I served in the Metropolitan, Bermuda and finally, in Leicestershire. 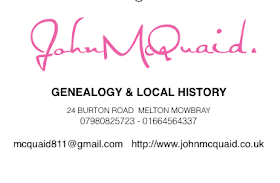 After an itinerant adult life which would involve the small matter of a marriage in 1965 in Bermuda, we returned to England to live in her home town of Melton Mowbray where we are both now retired. John McQuaid - Copyright. Simple theme. Powered by Blogger.